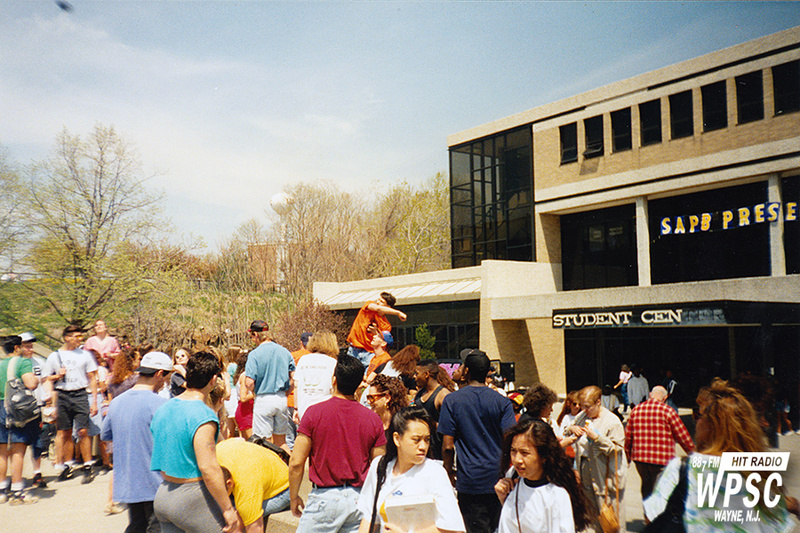 Kevin Serio launching HitRadio water bottles into the crowd at Springfest '94. The original photo captions say "Water bottle has yet to land!" and "Serio throws better than Boomer."